Cod is the perfect fish to try out a new fish dish. 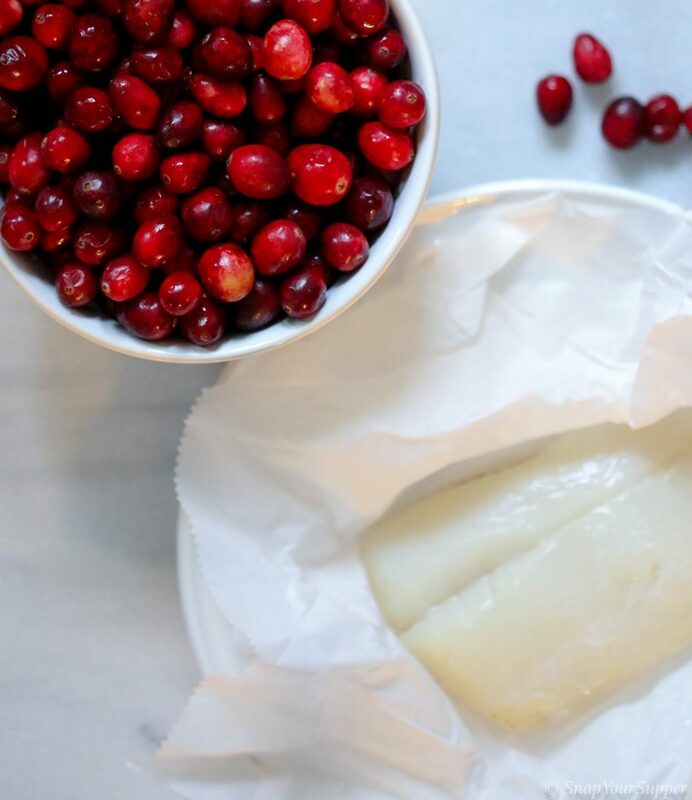 Very forgiving and mild in flavor cod is best suited for baking, grilling, poaching, pan roasting, and deep frying. My favorite way to eat cod is pretty basic but dang delicious. Deep fried in a light fluffy batter and showered with malt vinegar! So good! Every year when organic cranberries are in season I buy in bulk and freeze these tart treasures! I love cranberry jam, cranberry tarts, jelly rolls, relish, and of course cranberry sauce. Making sure these standout fruits won’t completely cover up the cod is going to be a challenge but that’s the fun 🙂 .